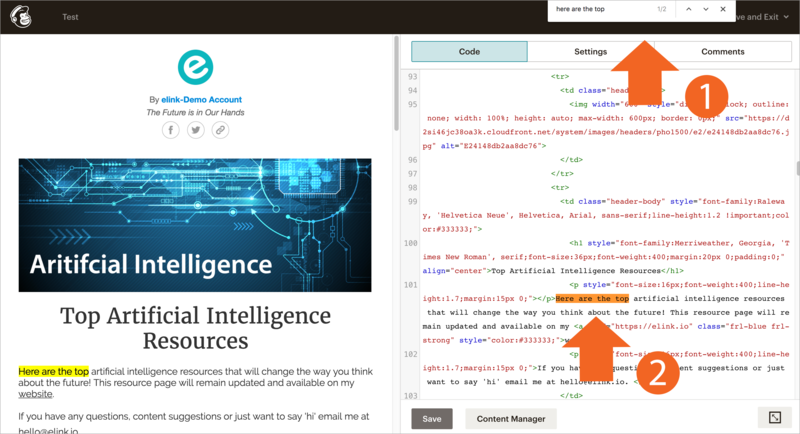 After you have sent over your elink Newsletter to Mailchimp, follow these steps to add custom merge tags in the right places of your newsletter. 1. 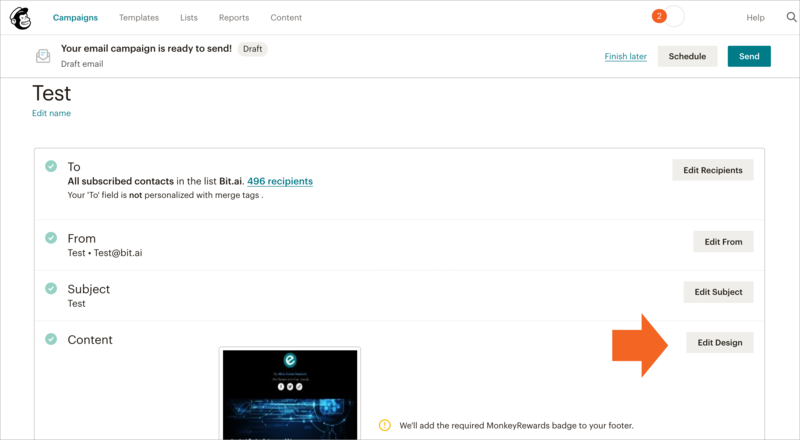 Open up your newsletter draft in Mailchimp. 2. Click on Edit Design. 3. Click the shortcut for a quick find and search the word/phrase you would like to add the merge tag. [Mac: Command + F] [PC: Control + F]. Scroll through the code section to find the highlighted section. 4. 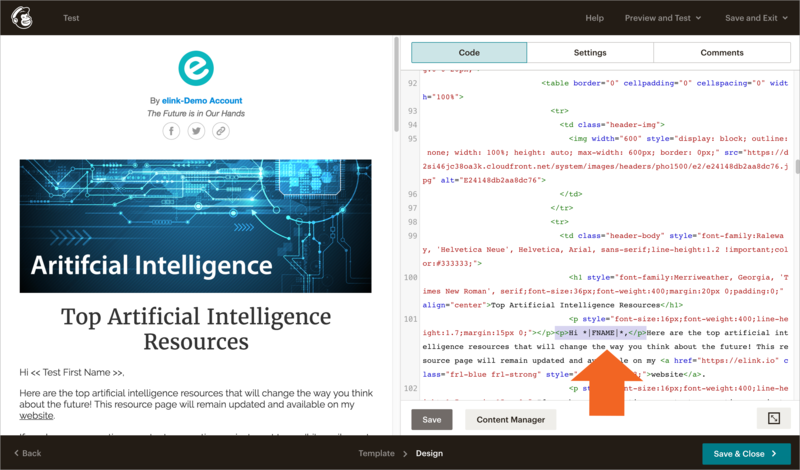 Add your Mailchimp merge tag in that location. Add this code before your 1st paragraph of text. Have additional questions or suggestions? Email us or message us on our in-app chat we would love to hear from you!